Here is our assortment of holiday themed chocolates that are an ideal gift to bring to someone's house this Thanksgiving. 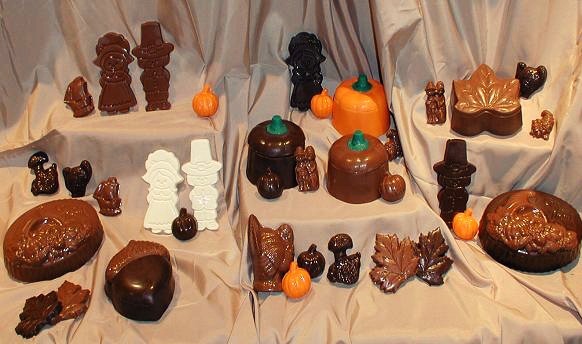 We have a wide selection of chocolate pilgrims, turkeys and pumpkins. We even offer four styles of chocolate pour boxes that can be filled with your selection of flavored mini chocolates. Try our maple flavor, it's an autumn favorite.